By now, office documents and paperwork are probably circulated around the workplace through emails and other digital formats to save both time and space. However, there's still the need for something that's tangible - something that can be read and posted. 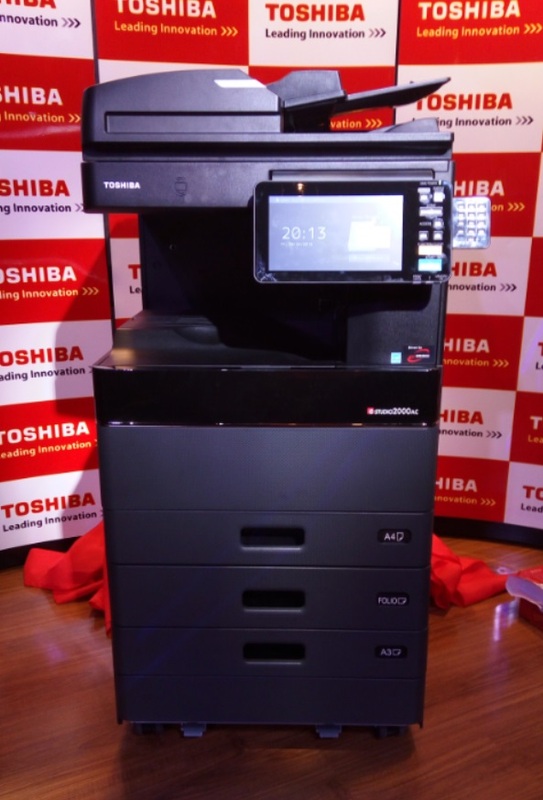 Simply put, there's still the need for conventional methods, and that's what Toshiba's latest line of multifunction printers wants to improve on. 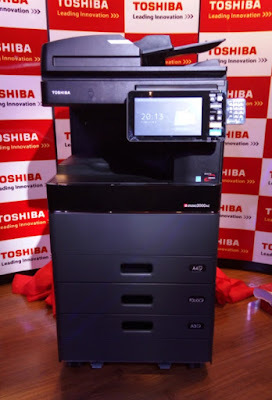 Toshiba and Tricon Dynamics have recently introduced three new e-STUDIO series that include two colour MFP series and one monochrome series. Both series feature a new platform design, and the basic body colour is now available in a more sophisticated black color. The colour series include the e-STUDIO2000AC / 2500AC and the e-STUDIO3505ac, while the monochrome lineup features the e-STUDIO2508A / 3008A / 3508A / 4508A / 50008A. 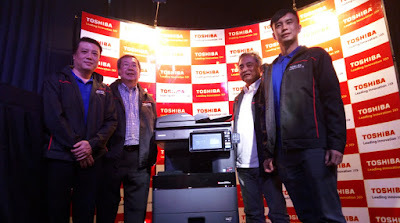 All in all, that is a total of 8 newly-engineered multifunction printers. The new MFPs feature a newly-engineered software as well as advanced hardware to better cater to the needs of businesses and their workflow. Intel's new processor is running inside the new MFPs, and there's a new tablet-style UI on it. Furthermore, Toshiba's Embedded Application Platform and Dual-Scan Document Feeder come into play to boost efficiency and improve workflow. For navigation, the 9-inch tablet-style UI delivers a superior intuitive user experience. It comes with the latest eBRIDGE Next controller that offers flexibility for better workflow. You can create profiles with it, and adjust colour and lighting for specific Pantone colours. It's even environmental-friendly as the offerings in the series meet the criteria for ENERGY Star and EPEAT Gold.